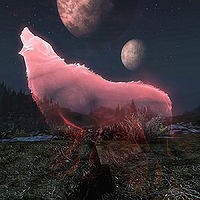 Pack Members are ghostly wolf and werewolf allies that can be summoned with the Totem of Brotherhood howl if you are a werewolf. Two wolves are summoned by default with this howl. 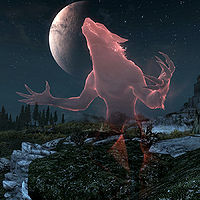 If the Dawnguard add-on is installed, the Totem of Ice Brothers perk will summon the ice wolf version instead, and the Totem of the Moon perk will summon the werewolf version. ^1The werewolf pack members are based on the generic Werewolf Brute that can be encountered in the wild. This page was last modified on 8 September 2018, at 04:17.